Norlin Nor is Head of the World Islamic Economic Forum-UiTM International Centre (WIEF-UiTM) where she works closely with the WIEF Foundation organizing the hugely successful annual event of the WIEF as well as plans and executes projects for the youth and women throughout the year. 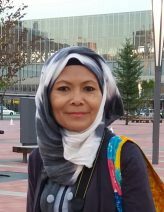 Prior to joining the Faculty of Business and Management Universiti Teknologi MARA, Malaysia, Norlin has worked for more than 17 years in various industries including print and television, tolled expressway and the hospitality and tourism. She is a Certified SME Business Counsellor as well as a trainer and consultant in event management, marketing communications, entrepreneurship, leadership, personal development, customer service and publications (copywriting, editing, translating) for more than 15 years. She has conducted numerous training programs for both local and foreign participants (industry players and students) in Malaysia and abroad.